A good scowler at work. Dooming the fair City of Angels to another year of alien occupation and inevitable traffic issues caused by it, USA has renewed Colony for a second season. 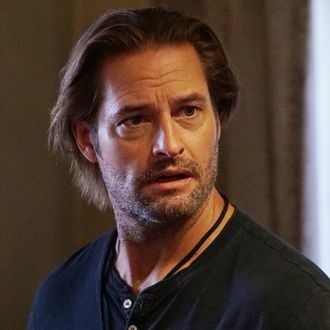 The series, which comes from Lost’s Carlton Cuse and Hercules’s Ryan Condal, stars Lost’s Josh Holloway and will air the fourth episode of its ten-episode first season tonight. Holloway plays a former FBI agent who collaborates with the forces of the alien occupation in Los Angeles order to get his son back, while Sarah Wayne Callies (Lori from The Walking Dead) plays his wife. A second season will give Colony a chance to unravel more of its elaborate mythology, though it better not introduce anything involving a hatch.